The RED MOTION MOUNT is a finely tunable neutral density filter, with up to 8 stops of ND, without having to rely on a mattebox and sets of ND filters. It’s can also be a global shutter that prevents partial illumination with strobes and shearing with fast subjects and it can be a time filter that renders sharper yet smoother pans, artifact-free cyclical motion, more natural motion blur, and reduced or eliminated flicker with lights and electronic displays. The motion mount swaps out the standard PL mount that comes with all our Dragon cameras, in just a couple of minutes. 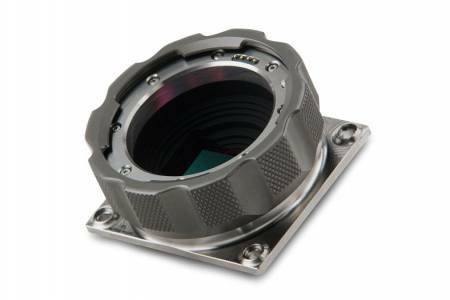 Please note, this mount is not compatible with all lenses, and has a native 1.6 stops loss of light. We recommend using with our Cooke S4i mini lenses. Compatible with all our RED cameras.